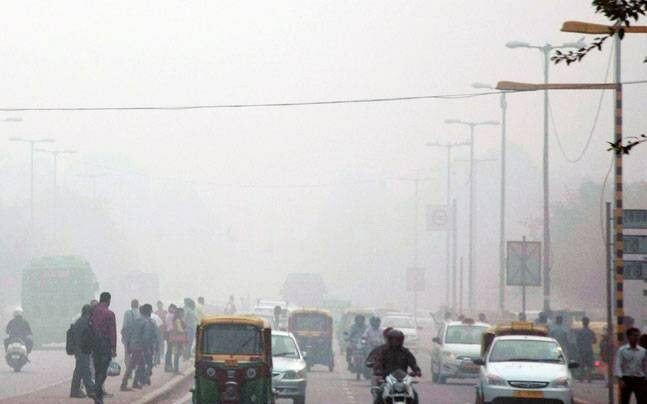 New Delhi, Nov 28: As Delhi residents continued to battle pollution, the AAP government on Monday issued a health advisory and urged people not to smoke and go in for carpooling, among other things, to tide over the environmental crisis. The advisory came as Delhi's air quality worsened with "emergency" and "severe" situation in many areas. "Use carpooling and public transport, as much as possible. Walk or use non-polluting mode of transport for short distances," said the advisory issued by the Health Department. "Do not smoke as it harms not only you but others also." It advised people to avoid going outdoors during the early morning and late evening hours as pollution levels were the maximum at those times. "Avoid going to high-pollution areas during peak hours. Stay indoors as much as possible. Schools may avoid outdoor assemblies, sports activities, and other physical activities in early mornings," the advisory added. Delhi recorded Air Quality Index (AQI) of 362 at 4 a.m. on Monday, as against 352 on Sunday, both considered "very poor". According to pollution monitoring agencies, air quality across the National Capital Region, including Delhi, is set to deteriorate further. "If you feel breathless or experience palpitation, immediately go to the nearest medical facility," the advisory said, pointing out to "absolutely free" treatment at all government health facilities.